These machines are NOT stock items and can take several weeks to be built and ship. the time it ships. If you order via the website, your card will be charged immediately. can be facilitated to meet your needs. 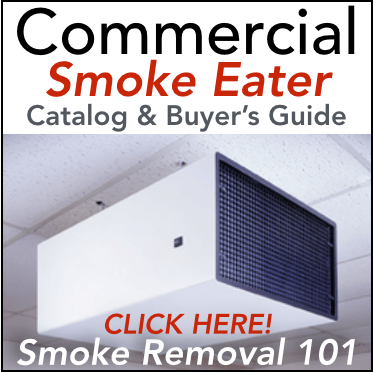 Can be utilized with Sheet Rock, Exposed Beam, or Drop Ceilings where there isn't enough clearance above the drop ceiling for a flush mount smoke eater. Filter Life: Average filter life for the included filters is one year. However, the heavier the smoke, the less time you will get out of the set of filters. Some Cigar shops who pack their shop with tasting events and also super smoky bars may require more frequent filter changes. 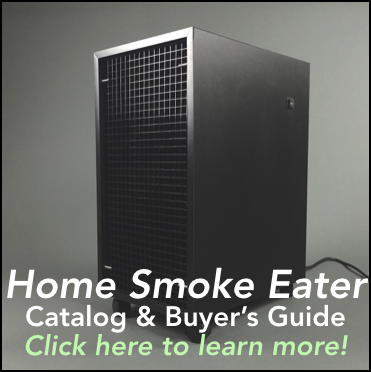 Click the button below to add the SRS 1000 Smoke Eater to your wish list.